The G7 ThinQ might not even be on shelves yet, but LG is already hawking another new smartphone, with premium specs, high-end materials, and flagship features. And this one doesn't have a notch. 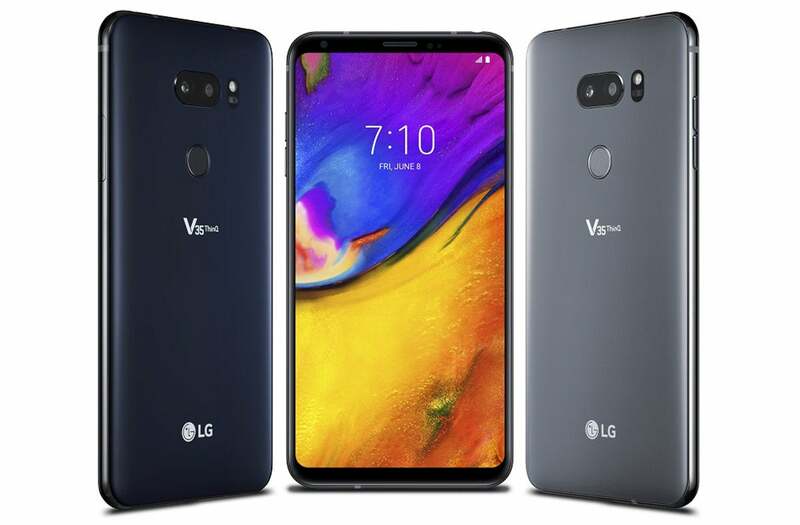 LG is calling its new phone the V35 ThinQ, and it's the third V phone in less than a year. First there was the V30 back in August, then the V30S ThinQ that hit shelves last month. Now we have the V35, which is something of a mashup of the V30S and the G7, bringing the latest specs to the V30's notch-less OLED screen. Now pretend that you're a customer and decide which one you want to buy. Even if you remove the V30S for having last-year's processor, the choice isn't an easy one: Do you go for the extra RAM and internal storage? Is the added 300mAh of battery worth it? Do you want the widest possible angle on your camera? Do colors matter? So, let's break it down. The biggest difference between the V35 and the G7 is the screen. In addition to not having the G7's notch, the V35 carries over the V30's OLED screen, which had its issues. The G7, on the other hand, has an LCD screen, so the blacks aren't as deep as they are on the V35. While they're both Quad HD screens, the G7 has a taller aspect ratio fur to the notch as well as a Super Bright Mode that ups the nits to over 1,000, a feature that isn't on the V35. Otherwise, the phones are pretty much the same. Despite the orientation of the lens (the V35's dual camera system is mounted horizontally while the G7's is vertical) I can't find any differences in wither the front or rear cameras, so you'll get the excellent Super Bright Camera for extreme low-light situations, the AI Cam, and an adjustable Portrait Mode. Now consider the pricing. The LG V35 will be available through AT&T beginning June 8 for $30 a month over 30 months, or a grand total of $900. LG will also be selling an unlocked Google Fi-compatible version, but pricing has not been announced for that model. But it probably won't be as low as the G7 or V30, which both retail for about $750.